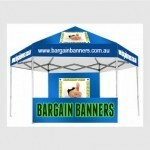 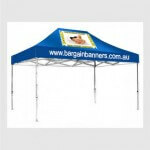 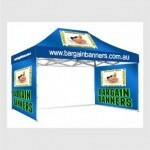 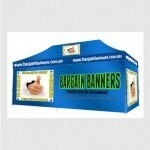 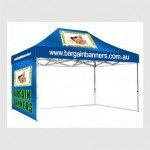 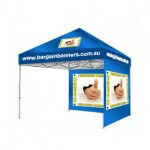 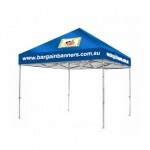 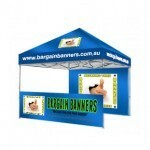 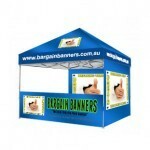 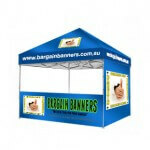 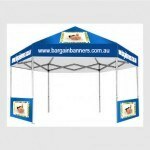 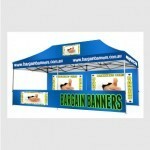 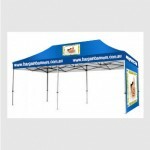 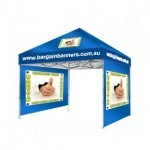 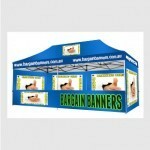 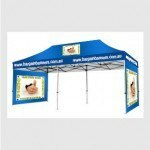 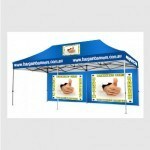 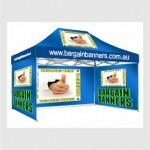 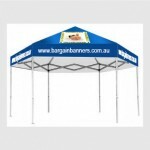 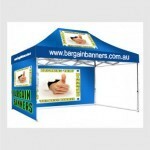 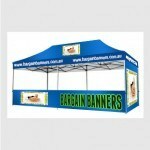 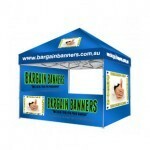 Custom-branded promotional marquee tents for professional marketing. 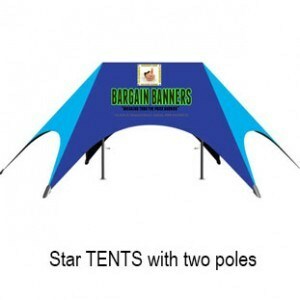 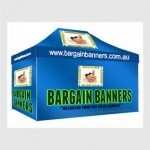 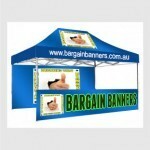 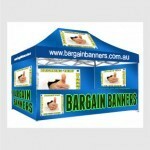 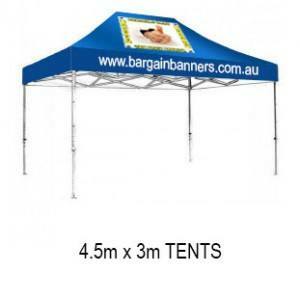 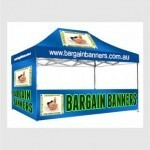 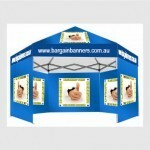 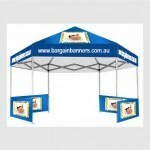 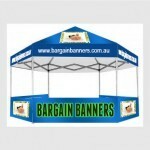 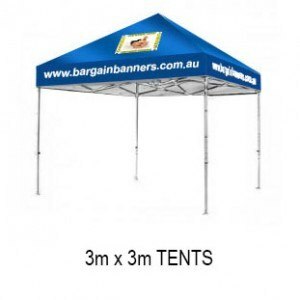 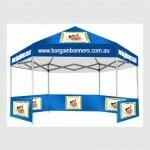 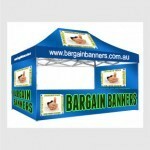 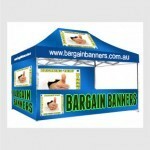 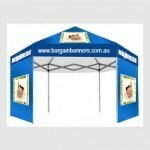 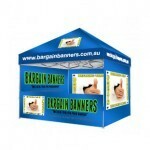 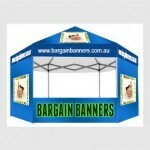 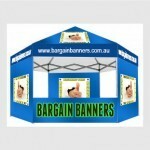 If you can imagine it, bargain banners tent can get you there. 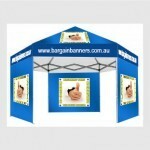 Sturdy aluminum tent for events and exhibitions. 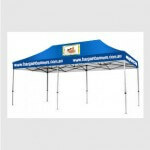 Super strong construction with 40 mm hexagonal legs. 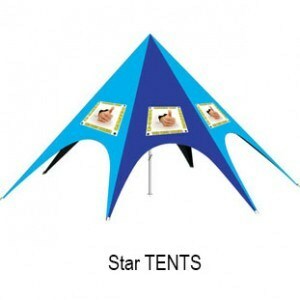 A fully grown person can without any problem hang from the tent. 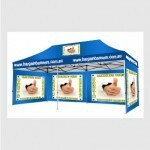 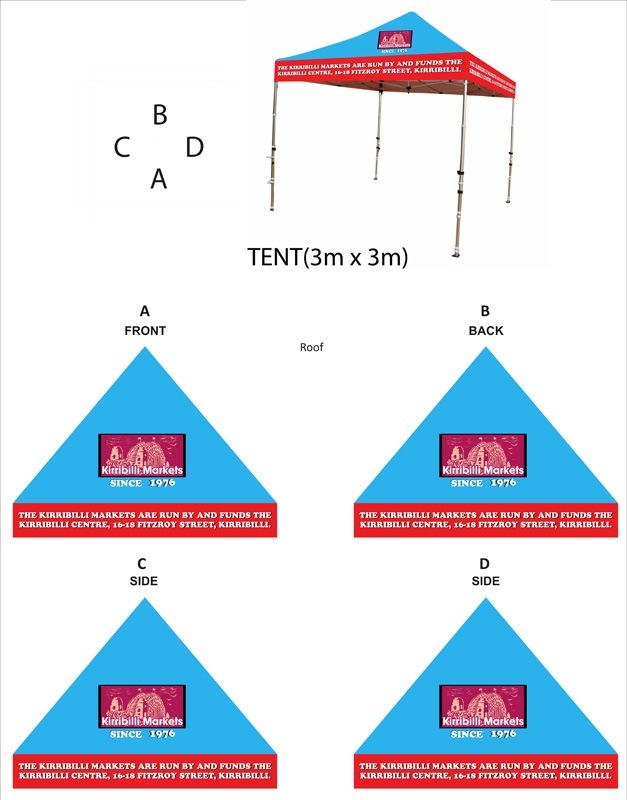 Our event tents come fully assembled with your own print on the fabric roof. 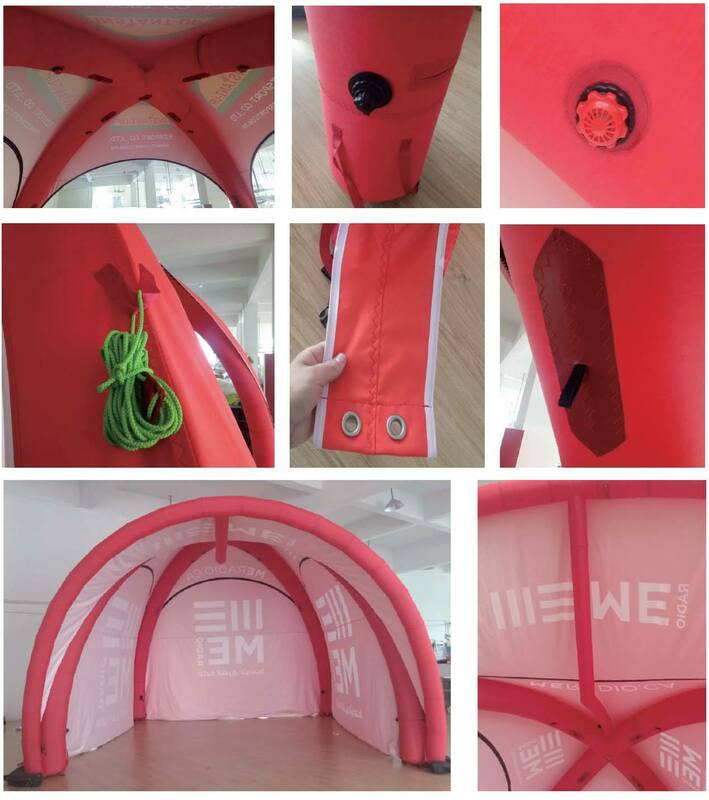 The tent is assembled and disassembled by two persons in just 1 minute. 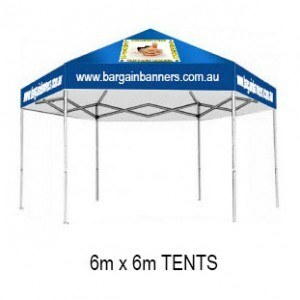 We feel comfortable saying that these tents are probably the best on the market and when it comes to prices we haven’t found anyone offering lower prices than us. 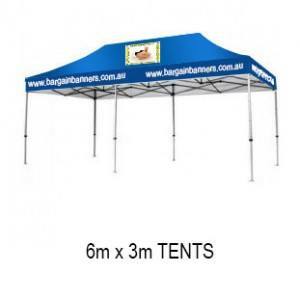 Complete from $1000 plus GST from black tent regional touring no sides.